MyKaffe bakeshop is a hidden gem in Caloocan City. This nook is a good place to have a light meal or snack. 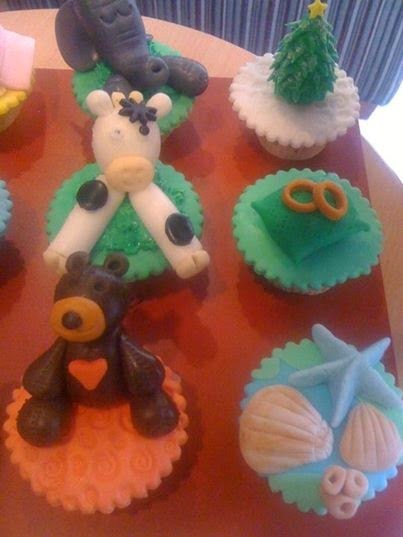 They offer cupcakes, cakes, cookies, and various breads that can be paired with either hot or cold beverages. The pink-themed walls are decorated with decals and chalk-drawn illustrations. There are cushioned seats and coffee tables for customers to enjoy their baked goodies or sip coffee, tea and iced specialties. Since this is my first time here, I ask for one of the house special iced coffee---the black forrest frappe (120 pesos). The German dessert black forest cake is my favorite, so I picked this chocolate frappe. Once I tried it, I got hooked. The iced drink blend tastes like a good slice of the cake. Topped with whipped cream, chocolate shavings and a cherry, it has a touch of sweetness not as heavy as those served in American coffee shops. The brazo de mercedes cupcake is a good interpretation of the Filipino favorite mouth-watering dessert. The cupcake is made of soft, marshmallow-ishy texture of the egg white layer complemented with the heavenly, custard-like egg yolk mixture in its center. I love it! 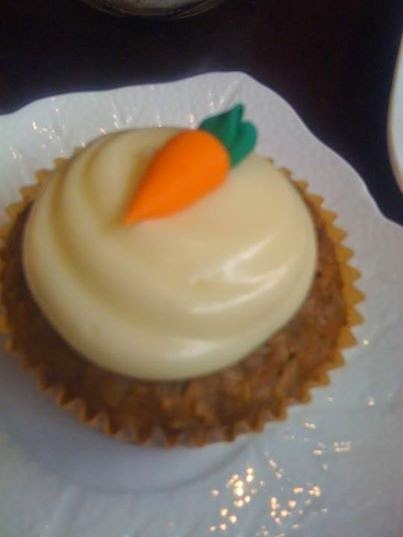 myKaffe Bakeshop makes this terrific moist and delicious carrot cupcake. The grated carrots and walnuts make it more flavorful. It's not too sweet and not greasy like other carrot muffins I've had. The creamy frosting complements its fluffy cake. I don't think another carrot cake will ever come close to this great experience. The Red Velvet Cupcake makes the rich dessert richer as the creamy cheesecake and moist red velvet cake come together in one amazing cupcake! This Red Velvet Cupcake twist comes with a moist cupcake layered with cheesecake like filling and red velvet cookie crust. Cheesecake goes perfectly with red velvet! These cupcakes are so irresistible with its soft, chewy perfection! You got to try them! Another favorite is the Tiramisu Cupcake. This cupcake tastes like a moist cheesecake soaked with espresso and topped with whipped cream, and cocoa powder. Thinking about it makes me crave. The ChocNut Cupcake is heaven for chocnut lovers. Oreo Cookies and Cream cupcake is chocolatey goodness. I find ChocNut, Red Velvet plus Oreo Cookies and Cream cupcakes a bit heavy on sweetness. The Salted Caramel borders on sweetness. This caramel-flavored cheesecake is topped with a unique salty frosting that balances the sweetness of the brown sugar. Simply put, it is the best of both worlds! Cranberry Oats Cookie is a crispy, chewy butter cookie. 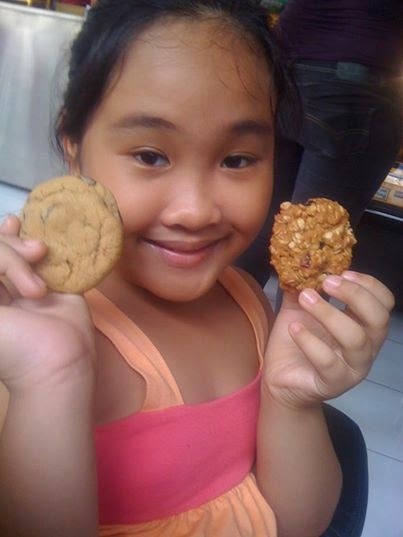 It is the perfect oatmeal cookie! The oats and dried cranberries give it texture and the ideal amount of sweetness! The Chocolate Chip Cookie is not too sweet but palatable like I imagined it to be. If you want to surprise a love one with a personalized cupcake like these, do place your order at least 2 weeks in advance. I definitely recommend myKaffe specialties. They have delicious line of sweet treats and drinks. There is no other place in Caloocan where you can get reasonably-priced baked goodies and drinks that are yummy. This place may sometimes get crowded but it is worth the wait when the food is delicious. Visit soon! 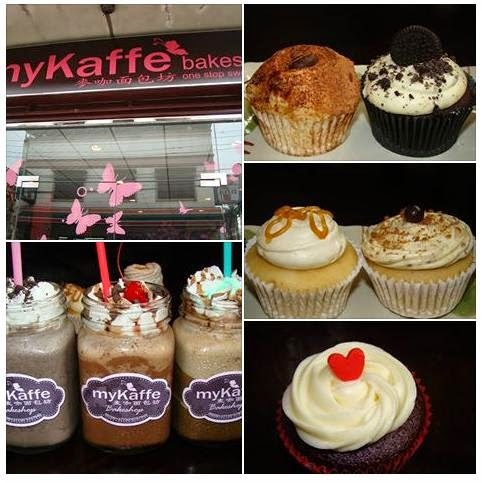 Presentation does a lot of enticing power in cupcake shops and truly, Mykaffe Bakeshop is doing a great job! The cupcakes looks relish and I love everything that's served in a mason jar. Too bad it so far. ahhh... desserts! I want to try soon! 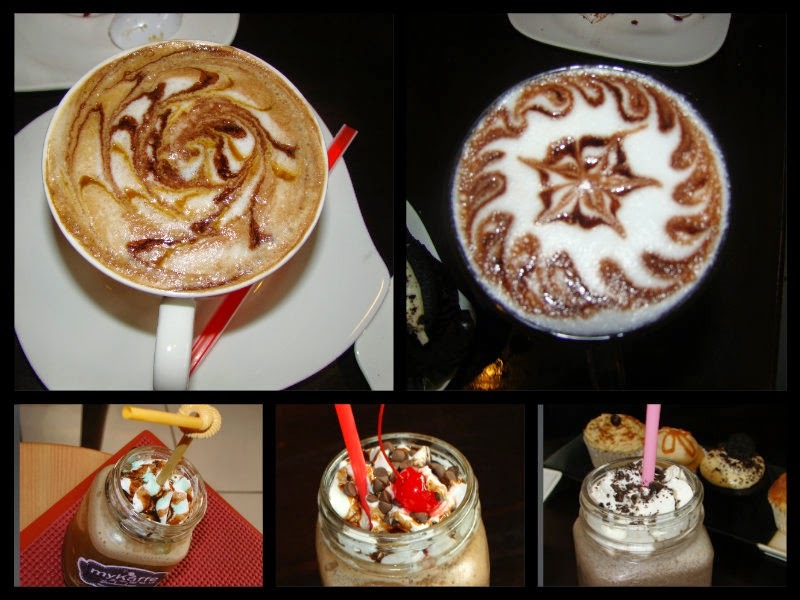 I am from Caloocan and I don't know that there is a coffee shop like this in 4th ave! Thanks for sharing. If there are many people queueing just to buy, that alone already says something about the place. Wwwahhhhh it's so far from where I live. :( I wanna try the Black Forest Frappe! 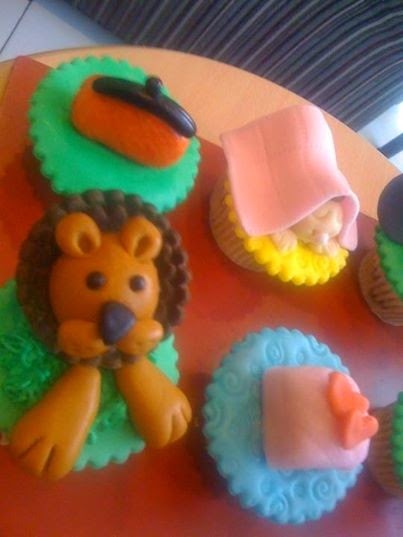 The cupcakes look awesome! You will love the Black Forest Frappe. I suggest you try the Red Velvet Cupcake too. i like their wall design! their drinks and food looks good too!